Viking Quest slot by Microgaming is dedicated to the popular theme of ancient warriors but in the funny manner. Developers made from angry Vikings cheerful heroes that are going to spin on the reels of represented slot. Bonus features are also crossed with the theme of warriors because fishing and ship building were their main skills. 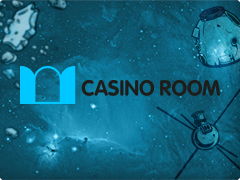 Microgaming successfully combined interesting storyline with awesome Bonus rounds that you are going to meet while playing this game for free or real money. During the first playing session, the game may seem to be complicated and in some words unusual. But extraordinary playing field, big symbols and great amount of Bonuses are the guarantees that playing process will never be dull and monotonous. If you are a fun of actions and dynamic online games, take chances at Aliens video slot by NetEnt, featured by 3 levels of Bonuses. The main symbols if Viking Quest online slot game is dedicated to the children pictures of Vikings, their guns and items. Some of them have unusual appearance thanks to 2x2, 4x4 and 4x5 structure. Players will not notice that common gaming cards are not here. Developers take into account special symbols Wild and Scatter. Wild is willing to replace other patterns except Scatter. Mega Scatter Free Spin is a Free Spin symbol that has several variations on the playing field – 2x2, 3x3 and 4x4. This symbol activates access to Bonus Free Spins game. Mega Scatter Salmon is the picture of the fish that consists of several items and has the size of 4x4. Such symbol activates Gone Fishing game. Mega scatter Chest is a picture of treasure chest that activates Chest of Fortune Bonus. Chest of Fortune – player has to choose one box in order to get winnings from x20 to x20 000 coins.